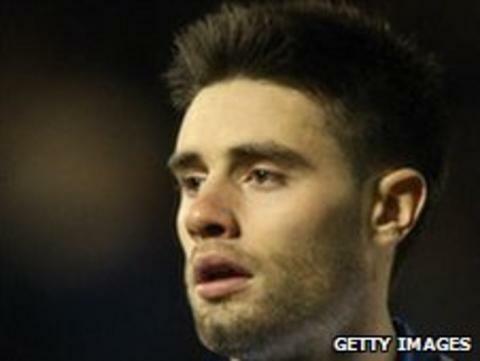 Bradford City have increased their midfield options by signing free agent Ritchie Jones. The former Manchester United midfielder, 24, has signed a two-year deal with the option of a further two. Manager Peter Jackson told the club's website: "I am delighted to welcome someone of Ritchie's quality into the squad. "As I stressed with every signing we've made, Ritchie is extremely excited and enthusiastic about joining." "That is, and always will be, key to me. We have had too many players in the past who have come here and been happy to just pick up their wage package. "Ritchie isn't one of these players - he can't wait to get started. He is just one of those players who loves to play football." Ritchie wants to do well for this football club and help to get us moving back in the right direction. Jones began his career at Old Trafford and although he spent most of his time in the club's successful reserve side, he did make five appearances for the first team. While a Manchester United player, he had loan spells at Colchester, Barnsley and Yeovil before joining Hartlepool on a free transfer in 2008. He joined Oldham at the start of last season, making 33 League One appearances, but was released at the end of the campaign. While at Oldham, Jones was sent home from a game at Yeovil for leaving a pre-match training session. Jones watched from the stands as Bradford won 7-1 at local club Silsden on Wednesday night in their latest pre-season friendly. "Like all of our signings this summer, Ritchie wants to do well for this football club and help to get us moving back in the right direction," Jackson added.